Richard Armstrong began to teach voice in 1969. In 1977, he co-directed the Unesco International Seminar of Inter-disciplinary Training, hosted by the Roy Hart Theatre. He later taught at the International Seminars of Group Theatre in Bergamo (Italy-1977), Ayacucho (Peru-1978), and Zacatecas (Mexico-1981). He has given countless workshops and demonstrations of his work throughout North and South America and Europe. He was a founding faculty member of New York University’s Experimental Theatre Wing annual program in Paris from 1985 to 1991. 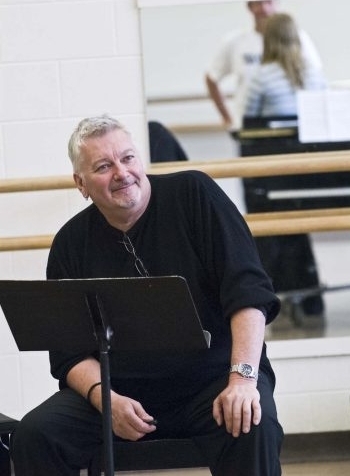 He was an integral part of the development of music theatre at The Banff Centre for the Arts in Banff, Canada since 1985 to 2015, both as director and faculty member, and spent three years teaching at the New World School of the Arts in Miami, Florida. 1992 saw the expansion of Mr. Armstrong’s teaching in Toronto, with the inauguration of Autumn Leaf Performance’s annual Professional Development Workshop series. He has taught for the Portland International Performance Festival, Winnipeg’s Contemporary Dancers and Shakespeare in the Ruins, Vancouver New Music, The International Workshop Festival in England, Corsica’s Théâtre Alibi, Tübingen’s Nicola Gehrke, Panthéâtre’s Myth and Theatre Festival, DePaul University in Chicago, The University of Virginia, The University of Montreal, Florida International University, The Big Sur Theatre Lab and Fordham University’s summer school in Italy . In January 2000, he was invited to be one of five featured presenters in A Conference for Theatre Makers and Trainers: International Origins for New Theatre Practice, sponsored by The Graduate Program in Theatre at Towson University and the Baltimore Theatre Project, under the auspices of The International Theatre Institute, in Baltimore and New York City. He has given yearly classes for the Graduate Theatre Program at Towson ever since. In March 2000, Mr. Armstrong gave a lecture/demonstration for English National Opera in London. In a letter sent subsequently to ENO, an audience member wrote: “I think every singer present felt inspired and moved to reconsider everything they had ever learnt and assumed about singing.” In 2003 he taught actors and directors from five Central American countries at an intensive training work shop in Costa Rica, organized by the Teatro Abya Yala. He was a featured presenter at the 2003 VASTA conference Voice and Ritual: Beyond The Spoken Word in New York. Mr. Armstrong was invited to Havana, Cuba in 2008 and 2009 by the Ludwig Foundation to work with Cuban actors, dancers, and directors. To celebrate 25 years teaching at the Banff Centre in Canada he created a scholarship for a Cuban director to study with him in Banff. He celebrated 30 years of teaching there in 2015. In 2014 Mr. Armstrong taught for the West Kowloon Cultural District in Hong King, invited by Le Theatre du Pif. He is currently associate arts professor at New York University’s Experimental Theater Wing at the Tisch School of the Arts. Annual events include workshops at Reichenow near Berlin, in Tubingen, southern Germany and NYU’s international summer school in Amsterdam.